Jim Thompson was born on July 8, 1933, in Bergenfield, New Jersey. He enlisted in the U.S. Army on June 27, 1956, and was trained as a Clerk. Thompson was accepted into Infantry Officer Candidate School at Fort Benning, Georgia, in September 1957, and was commissioned a 2LT of Infantry on April 18, 1958. After completing Ranger School and Jump School, he served as an instructor with the U.S. Army Infantry School at Fort Benning, from August 1958 to June 1960. 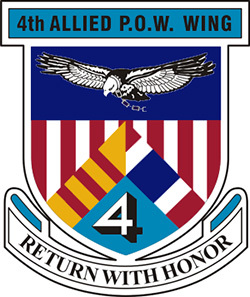 His next assignment was as a Platoon Leader in the 2nd Brigade of the 34th Infantry Regiment, stationed in South Korea from June 1960 to July 1961. Thompson then served as a reenlistment officer with Headquarters XVIII Airborne Corps at Fort Bragg, North Carolina, from September 1961 to September 1962, and then as a staff officer with 1st Special Forces at Fort Bragg, from September 1962 to December 1963. He then served with the Military Assistance Advisory Group in the Republic of Vietnam from December 1963 until the L-19 Bird Dog he was flying on was shot down and he was captured by the Viet Cong on March 26, 1964. After spending 3,278 days in captivity, longer than any other American during the Vietnam War, he was released during Operation Homecoming on March 16, 1973. He was briefly hospitalized at Valley Forge Army Hospital and then served as a Staff Officer at the U.S. Army Military Personnel Center and in the Office of the Deputy Chief of Staff for Personnel at Headquarters U.S. Army until his retirement from the Army on December 30, 1981. Jim Thompson died on July 16, 2002. Colonel Floyd J. Thompson distinguished himself by outstandingly meritorious service to the United States Army while serving in a series of assigned duties which clearly demonstrates distinguished performance during the period December 1963 to December 1981. During this period, Colonel Thompson served as a Special Forces Detachment Commander at Fort Bragg, as a Deputy Director of the Infantry School at Fort Benning, and as a staff officer at the United States Army Military Personnel Center and in the Office of the Deputy Chief of Staff for Personnel, Headquarters, Department of the Army. While he made major contributions to these organizations through his leadership skills and professionalism, he made a truly incalculable and remarkable impression on the entire Nation through his nine year internment as a prisoner of war. As the longest held prisoner during the Vietnam era, Colonel Thompson demonstrated truly magnificent powers of faith, physical endurance, and trust in the Nation during years of almost unfathomable deprivation and hardship. That he emerged from this experience with a determination to continue to serve and to share his experience with his fellow Americans, no matter how uncomfortable to him personally, is a true testament to his indomitable spirit and belief in his country. 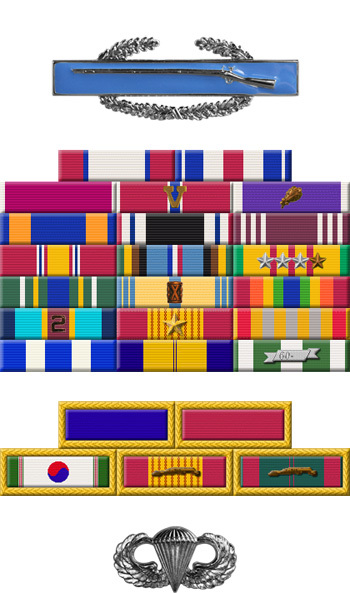 The value and dimension of Colonel Thompson's many accomplishments, singular dedication to duty, and overall extraordinary and distinguished performance represent meritorious achievement and distinction in the most honored and cherished traditions of the United States Army. 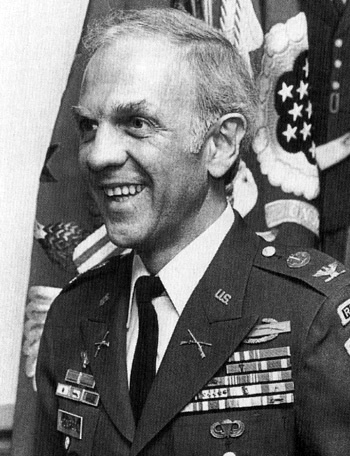 Longest Held Prisoner of War in Vietnam, held in captivity from 26 March 1964 to 16 March 1973.